…in Canada, if you work hard anything is possible. Like so many Canadians, I am an immigrant. My parents were entrepreneurs who believed that, in Canada, if you work hard anything is possible. They ran a small business – a Chinese food restaurant – where my siblings and I would often help out after school. One day, when I was 14 years old, I was at the restaurant watching the small black and white TV that was always playing in the background. I remember seeing that now iconic scene of Prime Minister Pierre Elliot Trudeau and Queen Elizabeth signing the Charter of Rights and Freedoms. Canada is considered one of the most entrepreneurial countries in the world. Even as a teenager, I knew this was an important moment for our country and that the Charter meant that I was equal. That even though I was a woman and an immigrant, that I had the same rights as anyone else. My parents’ story and the signing of the Charter were defining moments for me. I knew then, that I wanted to give back to the country that had given so much to me and my family. And 25 years later, I am honoured to be the Minister of Small Business and Export Promotion for a government that still knows that diversity is our strength. 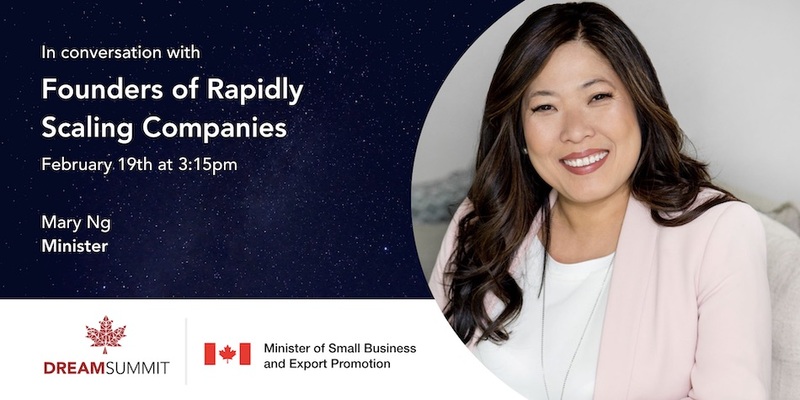 … government has helped fuel our talented innovative companies to grow and succeed both in Canada and around the world. 2. Canada’s entrepreneurial ecosystem is vibrant and rapidly expanding. Looking back, which factors in your view have driven this expansion? What do you think can be done to accelerate this further? Canada is considered one of the most entrepreneurial countries in the world. Make no mistake, this is due to the talent of our people and pioneering spirit of our innovative companies. In recent years we have seen the convergence of growing support for entrepreneurship across grassroots, educational, and financial institutions. We have also seen incredible growth and development of our venture capital industry, angel networks, and business incubators and accelerators across the country. These developments, combined with unprecedented investments from government has helped fuel our talented innovative companies to grow and succeed both in Canada and around the world. For its part, our government has played a supportive role, helping our entrepreneurs start up, scale up and access new markets. We have done this with our Innovation and Skills Plan, a plan to keep Canada competitive. We are decreasing red tape, building ecosystems of industrial strength, investing in venture capital and making historic investments in science. Much has been accomplished but better is always possible. Particularly, Canada’s intellectual property (IP) assets can be enhanced and we should be exporting much more than we are and to diverse markets. If we enhance our IP and get more small and medium-sized businesses (SMBs) exporting, more Canadian companies will scale to new heights. Our global brand is strong again and the world wants more Canada. As Minister of Small Business and Export Promotion, #DreamGlobal really speaks to me. We have 1.1 million SMBs that are innovating and breaking new ground every day. Our global brand is strong again and the world wants more Canada. We now have access to 1.5 billion customers in 51 countries with our 14 trade deals. Despite this, only 12% of Canadian SMBs are exporting. Our government wants to change that. In fact, Prime Minister Justin Trudeau has committed to increasing our overseas exports by 50% by 2025. My job is to help Canadian companies become export ready and we are investing $1.1 billion to achieve just that. The three most recent trade agreements, new NAFTA, CETA with Europe, and CPTPP with Asia Pacific nations all give considerations to SMBs, IP and digital commerce. 4. If you had three wishes for Canada’s entrepreneurial ecosystem in 2019, what would they be and who would they impact? I would also tell all Canadians and the world, that Canada is a great place to invest. With a thriving venture capital industry and professional angel networks across the country, I would love to see more Canadian and international investment in Canada’s most promising high-growth companies in areas such as ICT, cleantech, and health sciences, and in more regions and more women-owned companies across Canada. Most of all, I’d wish that more SMBs took advantage of our trade agreements and looked into exporting to diverse markets. The three most recent trade agreements, new NAFTA, CETA with Europe, and CPTPP with Asia Pacific nations all give considerations to SMBs, IP and digital commerce. I would like to see continued improvements in the number of women-owned SME’s, women in STEM, and women in venture capital in Canada. 5. What do you see as a significant area of untapped opportunity for Canadian entrepreneurs? Export and IP were previously mentioned as untapped areas of opportunity for Canadian entrepreneurs but I would also like to see more Canadian entrepreneurs, from all regions and backgrounds, tap into our world class incubators and accelerators and our ever-growing risk capital industry. I would also like to see more Canadian businesses scale in some of Canada’s key areas of economic strength such as advanced manufacturing, agri-food, clean technology, digital industries, health/bio-sciences and resources of the future. Our government created six Economic Strategy tables to support innovation in these areas. Lastly, our government continues to be a champion of promoting more diversity across Canada’s entrepreneurial ecosystem through our Women Entrepreneurship Strategy. Reports have suggested that a lack of participation of women in the economy could be costing upwards of $150 billion dollars. Additionally, we have seen that gender-balanced and diverse companies regularly outperform their counterparts. Canada’s industry organizations have made great strides in recognizing the importance of gender balance and diversity in a successful ecosystem and I would like to see continued improvements in the number of women-owned SME’s, women in STEM, and women in venture capital in Canada. 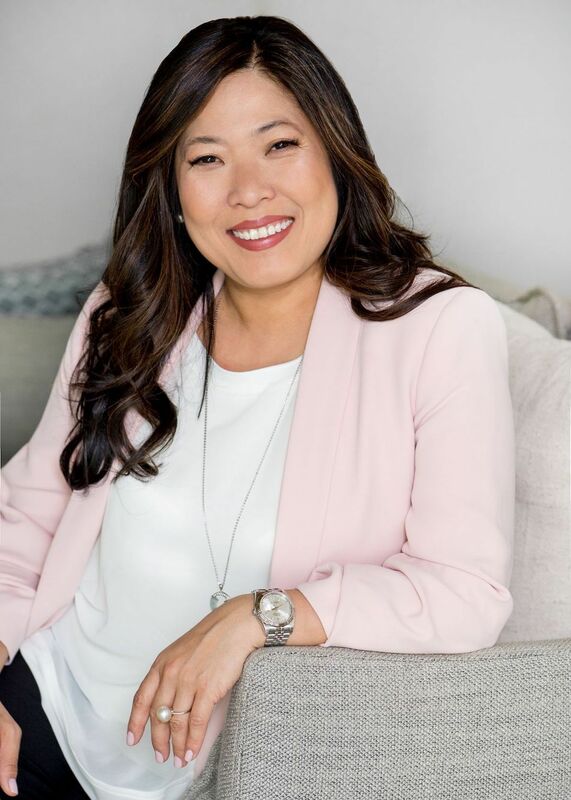 Minister Ng will be speaking at Canadian Dream Summit on February 19th in Toronto. To reserve a ticket, click here.